We are a firm designated as Chartered Financial Planners, which means that we have satisfied rigorous criteria relating to professional qualifications and ethical good practice. While Chartered titles are steeped in history, they remain the benchmark of professional excellence and are only awarded in deserving cases. 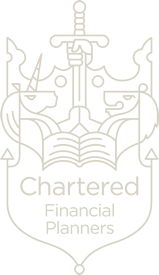 Our Chartered title means that you can be confident you are dealing with one of the UK’s leading financial advisers, wholly committed to providing you with the best possible advice. You can view the CII’s Code of Ethics at www.cii.co.uk within the section on Membership. There are two types of Financial Advisory firm recognised by the Financial Conduct Authority: Independent and Restricted. Roundhouse is committed to operating as a firm of Independent Financial Advisers (IFA). This means that our business has no links or ties to any one product provider. We can access Life Assurance, Pension and Investment products from across the whole of the marketplace, enabling us to find the best possible options for you. Our Ethos and "Treating Our Customers Fairly"
Above all, Roundhouse believes that an adviser's complete understanding of you, and your personal financial objectives, is key to financial success. We nurture our relationships with clients, helping them to succeed financially in the long-term. Your needs are at the core of all we do – we will never do anything because it is the right thing for us to do; we'll do what is the right thing for you! Over the years we have built up a loyal client base and today most of our new clients find us through referrals from our current clients. As a firm we're happy to be able to maintain our client relationships in this way and continually strive to remain worthy of these recommendations. Clients are at the heart of our business and delivering an outstanding service at all times is what we strive to do. However, we recognise that from time to time our clients may have cause to make a complaint. We are committed to dealing with complaints effectively and fairly in accordance with the Financial Conduct Authority's complaint handling rules and guidance. If clients have a cause to complain a dedicated person, focused on ensuring that the clients are treated fairly during the process, will deal with the complaint. Everyone has their own personal financial needs, and your needs today could be significantly different to your future needs. Financial planning can provide a means of maximising your current tax efficiency as well as enabling you to provide for your future. You may wish to plan for a child's education, income in your retirement, or even the purchase of a dream home. However, no effective financial plan can ignore the effect of outside influences like accidents, long-term illness or loss of employment. Insurance and Investment products differ greatly in areas such as tax treatment, charges and investment returns. At Roundhouse, we can access the whole market to ensure you receive advice about the products that best meet your needs. And if there are no products that suit your needs we will tell you that! Our team of expert advisers are highly qualified and have years of experience in providing impartial financial advice. We always look to find solutions for your needs that work throughout the many different stages of your life. There are times when it can prove difficult to establish your true financial needs. We offer a no obligation consultation to consider your personal circumstances. Our advisers are available to meet in person, or if you would prefer, it is possible to hold a consultation over the telephone. Should you decide to use our services, our fees will be explained in detail, and agreed by you, before work commences. Thinking of using a Financial Adviser? The financial services regulator The Financial Conduct Authority (or “FCA” for short) suggests you should ask your prospective adviser firm the following 11 Questions before you decide.